BYS: B.A.P, the 6 warriors show their emotional side in "First Sensibility"
B.A.P, the 6 warriors show their emotional side in "First Sensibility"
The familiar faces of the 6 member group B.A.P the owners of the rabbit symbol, heavy rhythm songs, and warrior-like choreography. 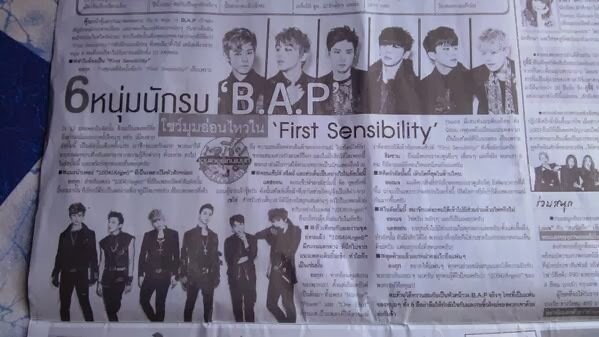 But in their first full length album which is called "First Sensibility" they are not using the warrior image. Instead they are just 6 emotional boys with 13 love songs. Yongguk: The reason the album is called "First Sensibility" is because the 13 songs in this album expresses more emotion than the previous songs. Because this is our first full length album, we put a lot of effort in it. We combined songs that came from different feelings in this album. I hope you all like it. Q: Can you tell us a little bit about the title song 1004(Angel)? Yongguk: For our title song 1004, we are very proud of it. Its a song that has the delicacy of feelings, its a combination of folk song and rock styles. And for the music video of the song, we got to be the actors too. Q: What is the concept, style, the choreography like in this album. Zelo: For the choreography, we put some tricks in it too. For example in 1004(Angel) we have a part where we play with the microphone. Q: Compared to previous songs, how is 1004(Angel) different? And why is that? Yongguk: If you look back since we debut, "Warrior" "Power" and "One Shot" all are fierce, wildly charismatic like warriors. The reason we changed to more soft style is because we want it to go with the "First Sensibility" concept like the album name. Himchan: Even though we look manly and fierce, we have our soft, emotional sides. Q: Which part of this album do you think is maturest? Youngjae: I think the reason why our songs are more mature is probably because in this album we get to express our feelings more. Q: Lastly, what would you like to say to fans? Yongguk: I hope fans will support and give lots of love for us. Everyone knows right? That our 1004(Angel) are you guys!! Yongguk ended sweetly as expected. 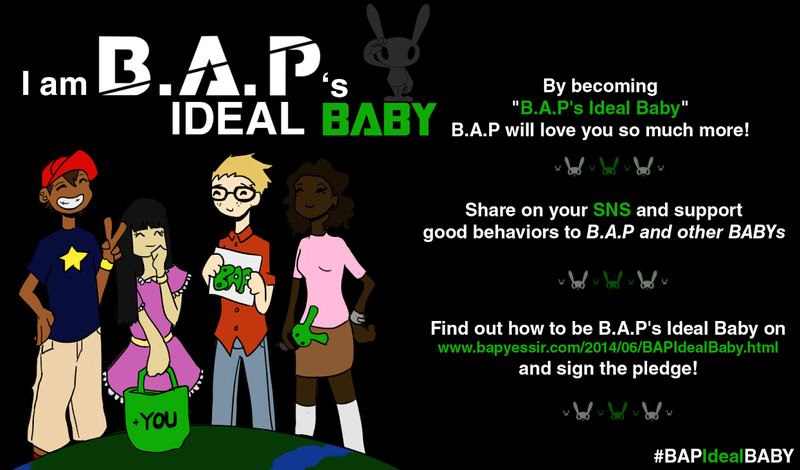 B.A.P fans out there dont forget to cheer for them and their new album.